Charles Adams is a legendary specialist and historian. His book For Good and Evil ranks as among the most influential policy works of the late 20th century. It revealed the largely unknown history of how high taxation has wrecked peae and prosperity from the ancient world to the present, and how revolts have been the hidden motivation behind many great political upheavals. Taxation has been Adam’s journalistic and academic beat for his entire life. This is why Laissez Faire Books is honored to be the publisher of another wonderful book by Adams. In Tax-Haven Tales, Adams reveals his firsthand knowledge of life in the tax-haven world throughout the 1970s and 1980s, peeling back the curtain to show the workings of a world that very few people will ever otherwise discover. Adam’s extremely valuable book is the most thorough, most authoritive and certainly the msot entertaining account of life in tax havens to ever appear in print. You will be intrigued at the financial high jinks common in the secret world, and how the very rich navigate its dangerous but profitable waters. The 1970s and ’80s were the salad days of tax havens, and wealthy Americans were flocking to them as means of escaping the confiscatory rates of taxation in the U.S. Adams’ book gives you an inside look at the “Wild West” of finance that continues to draw interest today. 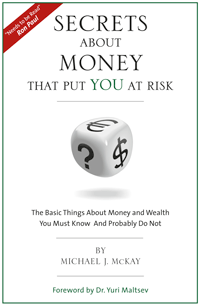 His account of financial life in the Bahamas and Cayman Islands and beyond is drawn from firsthand experience — he was called upon to handle many accounts in these years — and he shares some amazing stories for the first time. At the same time, Adams argues that tax havens have always been with us, even since the ancient world, and serve an extremely crucial function of preserving wealth in times when governments are otherwise determined to destroy it. Many people have heard of offshore banks and wondered whether they are really viable options for protecting wealth. In fact, many people were shocked at the news that Mitt Romney himself keeps offshore accounts, as do many major American corporations. Is there a case for cracking down on them? Adams says absolutely not. He covers the government’s extremely wicked and pointless war on tax havens during these years. Governments pressured banks to open up and end secrecy, rat out those who were using the banks for illicit purposes, and cooperate more closely with tax authorities in the United States. This ended many major advantages of tax havens, yet some remain to this day. For example, it is to the utter disgrace of the American political class that Eduardo Saverin, the Brazilian-born co-founder of Facebook, had to flee the U.S. to avoid having his wealth confiscated by capital gains taxes. His tax haven is Singapore, but there are many other places that Americans can shoose to go in the in the interest of keeping what they earn from the tax police. Tax havens — whethere tiny islands or large countries — will always be with us, and to this we owe them a great debt for preserving private capital. Adams praises their role in history but adds a cautionary note: Buyer beware! Governments aren’t the only institutions that make a business out of confidence games and outright stealing. 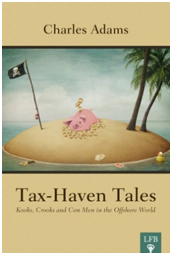 Tax-Haven Tales will introduce you to a wild, exciting adn crazy world that youmight never otherwise encounter. Remember, you can download any of our e-books by going to the e-book archive. And be sure to stop by the forum and share your reactions with your fellow members and me.